We offer nationally certified appraisals for the insurance industry, individual clients and trade professionals. ORRA (the Oriental Rug Retailers of America, Inc) written appraisals are valid for all purposes including use for courtroom documentation. 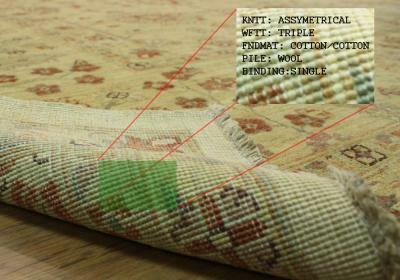 Although all written appraisals required physical handling of the actual rug appraised, complimentary verbal and online appraisals with photos are available to encourage that proper service is rendered. Pricing for appraisals varies based on ones specific requirements. Please contact us for an initial consultation. The appraisal process may also be combined with other products and services (e.g. cleaning, repair, restoration, padding) especially when bundling overlapping procedures.